1x Fire Safety Essentials Poster. Full colour A2 poster summarising, preventing a fire starting, evacuation procedures, do's and don'ts in a fire situation and tackling small fires. 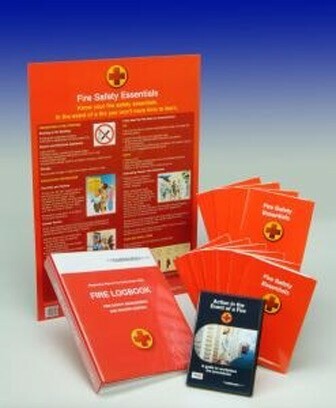 10 x Fire Safety Essentials Booklets. Easy to read full colour A5 booklet Contains essential information on: How Fires Start; Preventing a Fire Starting and Spreading; Evacuation Procedures; Tackling Small Fires; Fire Safety Checklist; Fire Safety legislation Includes a questionnaire, and certificate.